Autumn trip is day trip to nature for the whole family. The goal is often less important than good company and good packed food. 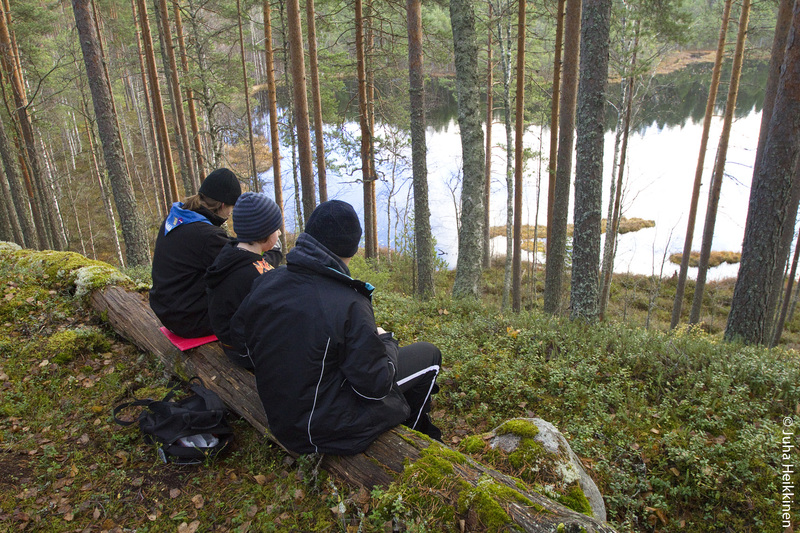 We make the trip to Leivonmäki National Park. The paths we walk go thru esker forests, lined with great remainders of ice age. The magnificien Joutsniemi ridge is worth seeing. There are two routes to pick from. The shorter one, Harjunkierros, is 4,5 km long, but has a more challenging (intermediate) because of some steeper ascents and descents. The other route, Mäyränkierros, is 5,5 km long, but rated as easy. Regardless of the route, we all end up in Joutsniemi to enjoy our own packed lunches by the fire. Palokan Partiolaiset provides the sausages to fry in the fire. We take a charter bus to Leivonmäki. The bus leaves from Palokka church at 10 am and starts back from Leivonmäki at 3 pm. We should be back in Palokka around 4 pm. The cost of the trip is 5€/person. Cash only when entering the bus. Gear: Clothing to suit the weather and backpack to carry your food and drinking water. Sign up using the button below. The bus carries only 53 people, so sign up early. More people can also join the trip, but that requires coming with own car. When signing up, enter all the names in your family joining the trip in the dedicated field on the form.